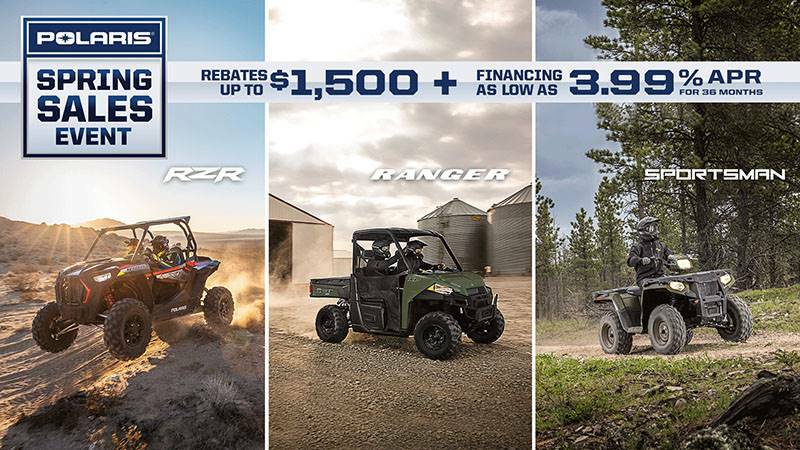 The ProStar® Engine Advantage-The RANGER CREW 570 Full-Size ProStar® engine is purpose built, tuned and designed alongside the vehicle – resulting in an optimal balance of smooth, reliable power. The ProStar® 570 engine was developed with the ultimate combination of high power density, excellent fuel efficiency and ease of maintenance. Class-leading ProStar® Pulling Power-NEW: Featuring a powerful 40 HP ProStar® engine† that leaves the utility side-by-side competition in the dust – 11% more than the 2014 Honda Pioneer™ 700 4††. 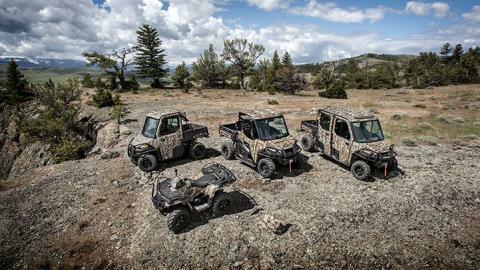 The RANGER CREW 570 Full-size delivers more torque and rear wheel pulling power to get the job done. Disclaimer: †All competitive comparisons are based on 2013/2014 models and on published manufacturer specifications available at time of printing. Pioneer® is a registered trademark of Honda Motor Co., Ltd. HP numbers are based on 2013 Executive Orders issued by the California Air Resources Board (CARB) ††All horsepower specs tested and verified by a third party entity. 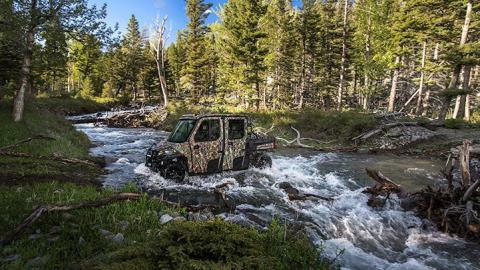 Engine Management System-The engine management system (EMS) delivers optimal torque and horsepower, plus smooth throttle at all speeds and reverse. 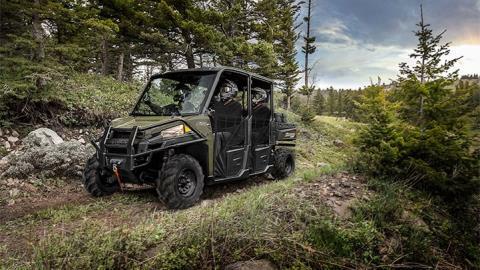 The EMS, paired with the ProStar® engine and clutching advantage, also allows for optimal fuel economy. Class-leading Towing and Payload-With a monstrous class-leading 2,000 lbs. 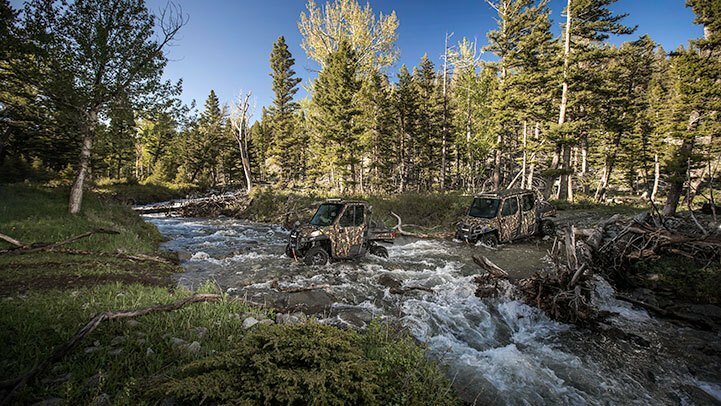 towing capacity and standard 2” receiver, the RANGER CREW 570 Full-Size allows you to tackle the toughest jobs with confidence. Additionally, a class-leading 1,750 lbs payload capacity is highlighted by a rear box with gas-assist dumping operation that can tote up to 1,000 lbs. of materials and a full-sized pallet. Leading Storage Solutions-With the RANGER CREW 570 Full-Size, enjoy a monstrous 119 L of enclosed storage plus plenty of easy-to-access in dash storage that keeps items at the ready when they’re needed. 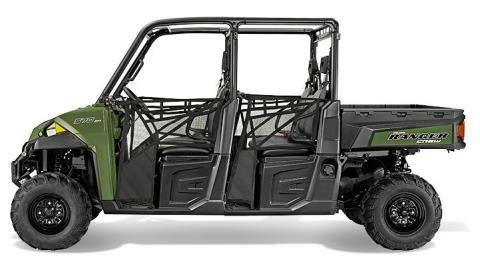 Styling with a Purpose-The RANGER CREW 570 Full-Size headlight shape allows for an ideal beam spread in the 55W low or 60W high position. 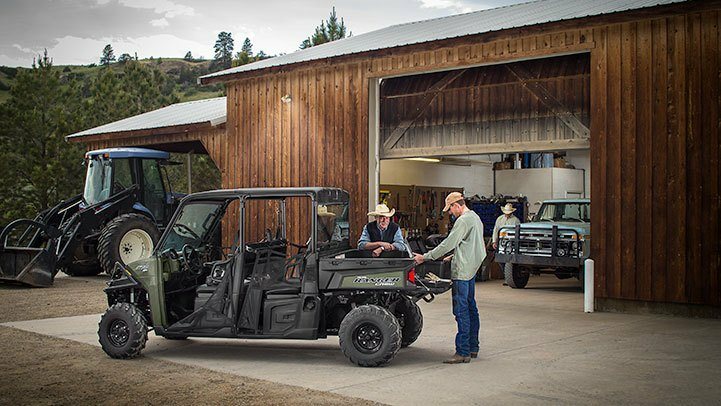 All-Day Riding Comfort-We designed the RANGER CREW 570 Full-Size with an ideal seat height combined with wide foot clearance for easy entry and exit. 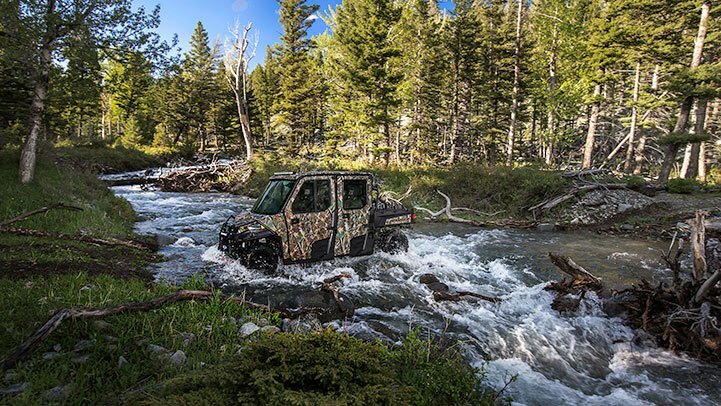 Plus, experience a full 10 inches of tilt steering adjustment, and room for six adults. 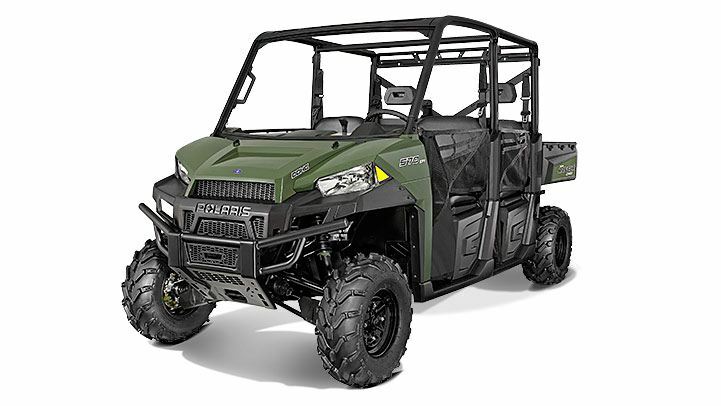 High Ground Clearance-Polaris engineers designed the RANGER CREW 570 Full-Size with a perfect balance of smooth riding, handling and turning radius from an ideal 113” (287 cm) wheelbase paired with 11.3” (28.7 cm) of ground clearance.